Adobe Photoshop Elements 15 for Windows 10 is now available at Windows Store with 40% off. You can now buy the app for $69.69 and save $46.50. The offer will run until Nov. 30. Photoshop Elements is well-known for being powerful, easy-to-use photo software that automates the organizing and editing. The right tutorials, right away — Get the help you need — even if you don’t know exactly how to describe it — right from eLive within Photoshop Elements. 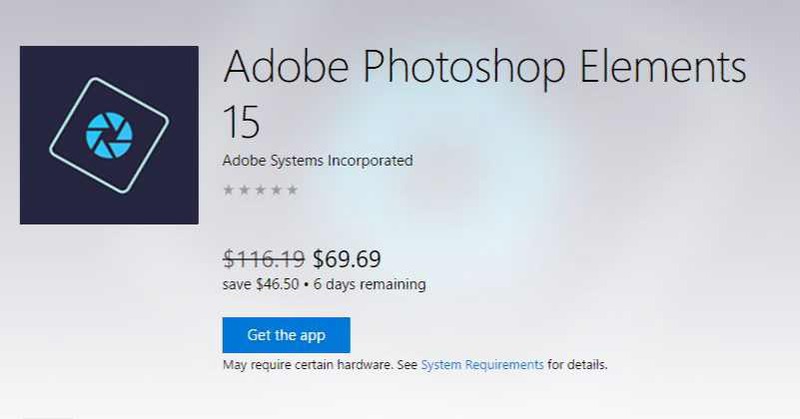 Download the Adobe Photoshop Elements 15 for Windows 10 from Windows Store or from the link below.